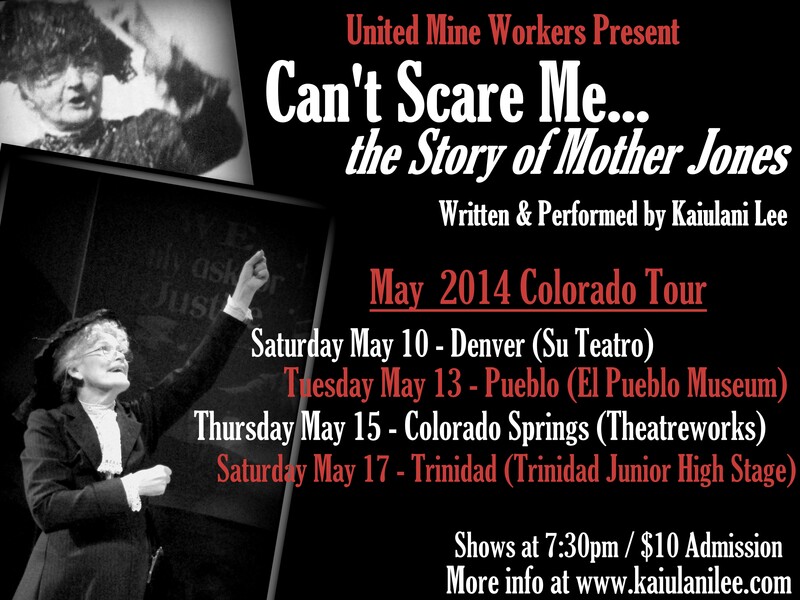 Mother Jones impersonator Kaiulani Lee begins a tour of Colorado next week. Kaiulani, who wowed Cork audiences at the inaugural Spirit of Mother Jones festival in 2012 is touring under the auspices of the United Mine Workers’ of America with her play “Can’t Scare Me, the story of Mother Jones”. We wish her all the best and hope she can return to Cork soon. For more on Kaiulani and her show visit her website at www.kaiulanilee.com or view her Facebook page.